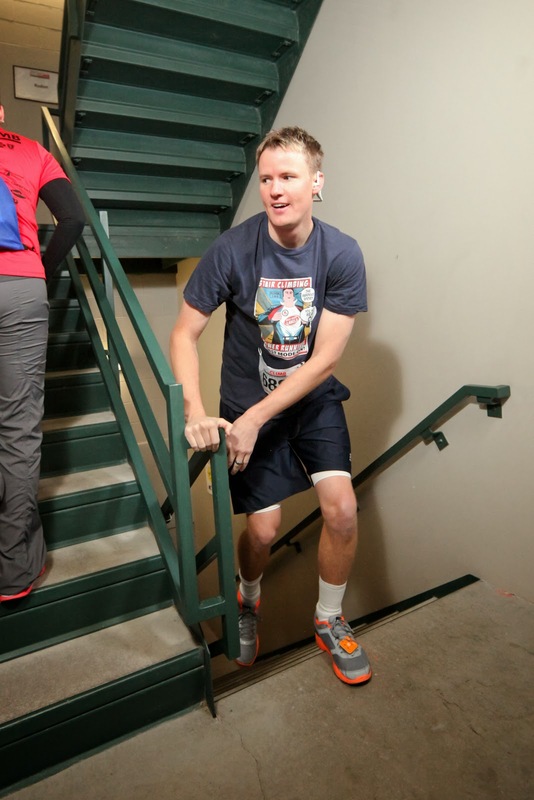 Happy stair race season….what is that?? You didn’t know there is such a thing?? Neither did I until entered this crazy/fun sport last year. Stair race season is generally defined as February and March of each year. This is due to American Lung association holding their Fight for Air fundraisers during this time period. 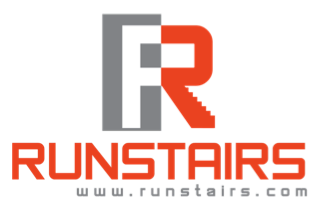 The stair climbers use these timed events to add the results to the national stair climbing rankings. It is tricky to figure out which races you are going to run in since they are all so compressed. For example the weekend of February 22-23 there were 7 ALA stair races across the US. I competed in the Utah race and the Colorado race. This weekend on March 2nd I will be running in the Detroit Michigan race but most of the elite stair climbers will be in Nevada for the Stratosphere race. 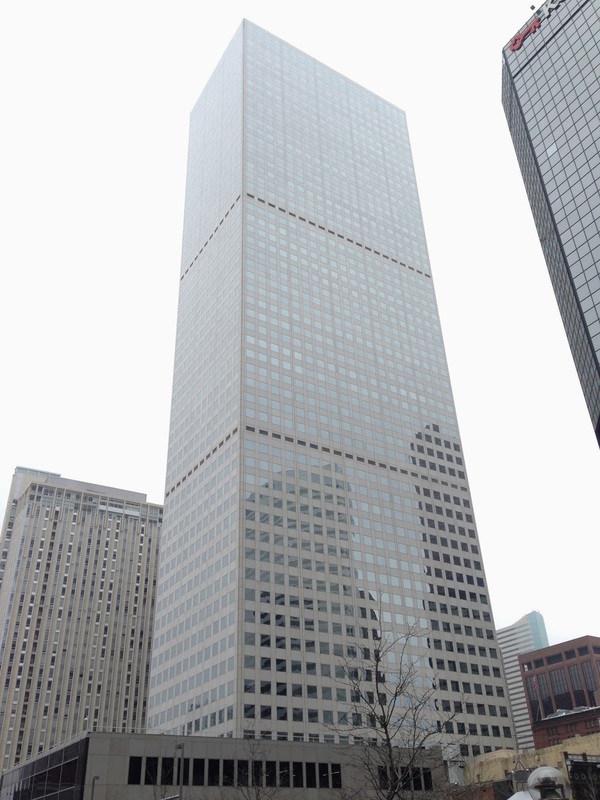 This Colorado stair run represents the 9th state I have run the tallest building in. My 5 year old daughter and I made a daddy daughter trip out of this weekend. She joined me and stayed with my sister in law Julie and her fiancé while I was at the race. Claire brought her little suitcase she packed 3 days earlier and we had an excellent trip. The morning of the race I realized in my rush to head out the door I failed to pack running shorts. My jeans were not going to be sufficient in a 56 story race so I rushed over to the local Walmart at 7:00 am and purchased some $10 shorts….thanks Walmart. 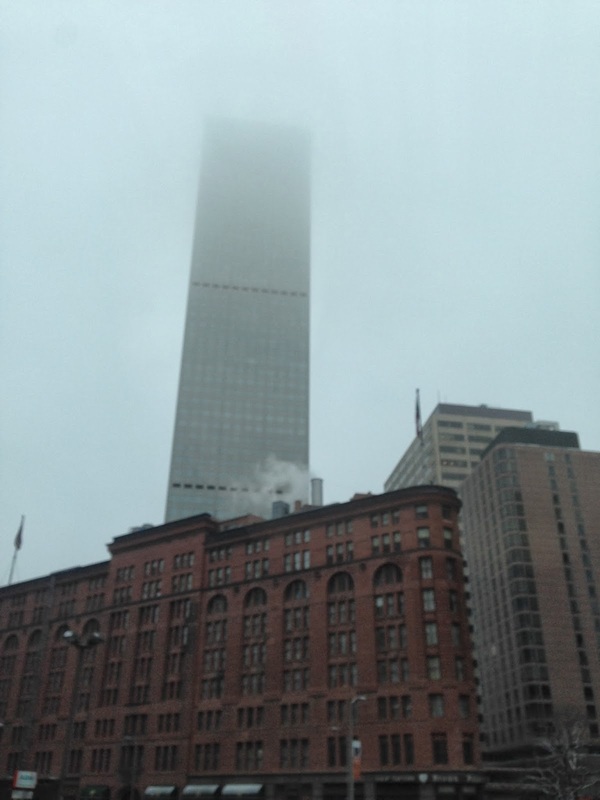 I made the drive into downtown Denver for the race and there were low clouds with some snow on the ground making Republic Plaza look extra tall and intimidating. In Utah the previous day there were no more than 300 people running where the Denver race had over 3000. In Utah I was able to wait 4 minutes with no on entering the stairs before I ran. In Denver they send someone every 5 seconds. This made the stairwell packed with people walking up. I passed around 40 people on my way up. There were times when I would get to a packed group of people or a very large person using both handrails and I would slowly wait behind them until I could pass. This is ultimately a charity race and I wasn’t about to be rude by pushing people out of the way or yelling for them to move so I remained patient even though it was a bit frustrating to think of what my time could have been. 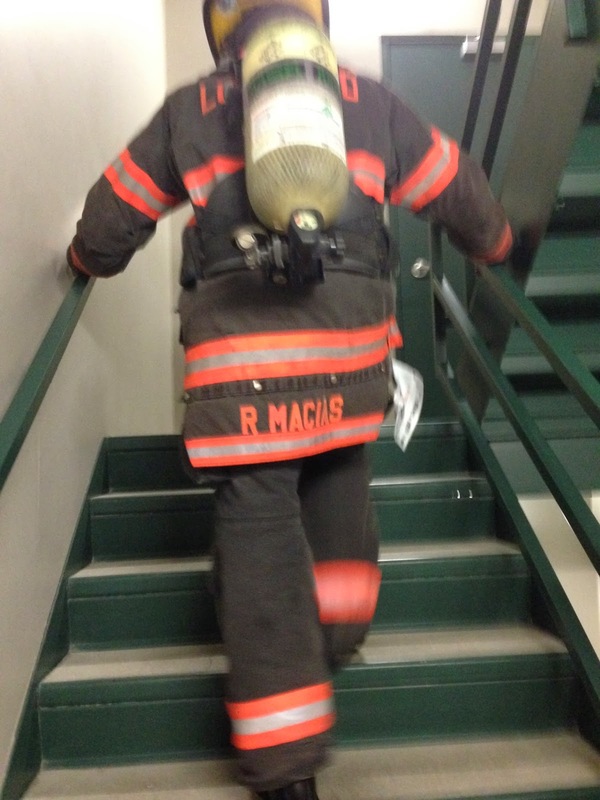 The last 12 floors of the building I was stuck behind R. Macias, a firefighter from Denver. He was in 80 pounds of gear and was using both rails to pull himself up. I slowly followed him until the finish line. My time was 11 minutes 11 seconds (isn’t that a lucky number?) putting me in at 142 out of 1029 male racers. Not a bad time. It was a great race and I was surprised to not be sore at all from the two races. My lungs were certainly overworked and a bit fatigued but my legs are fine. 9 down 41 to go! 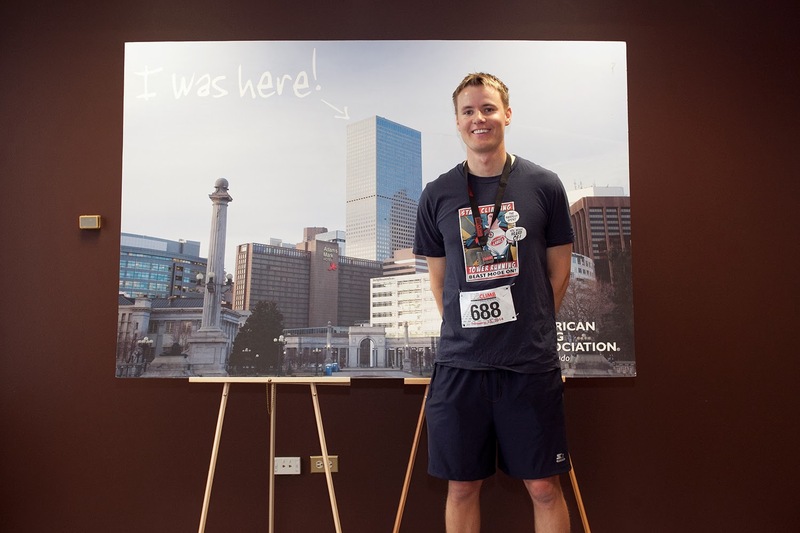 For most of the American Lung Association stair races, there's climbing etiquette listed in the event info or FAQ sections of their race pages. And almost all of them encourage those who want to pass to announce something along the lines of "PASSING!" to those ahead of them so they can advance past the slower climbers. If you're climbing to climb, whatever, but if you want a good time, you HAVE TO get past (no pun intended) not wanting to get pushy about it. (Just don't actually push people, of course). Good tip. I saw all the signs in the stairwell that clearly say pass on the left but I never said "Passing" to anyone. I'll use that next time.